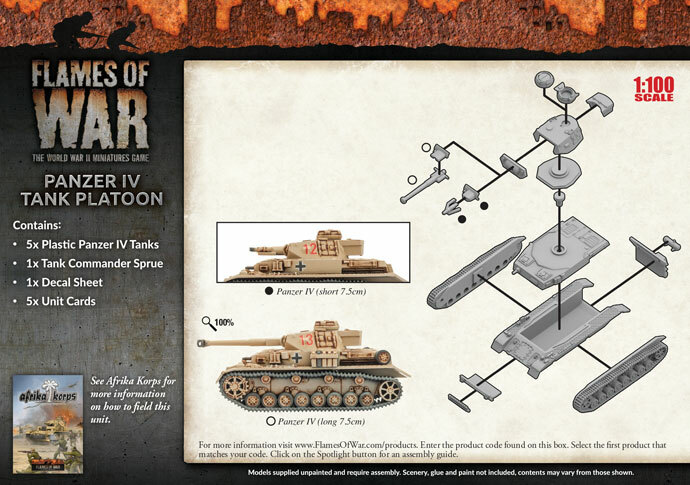 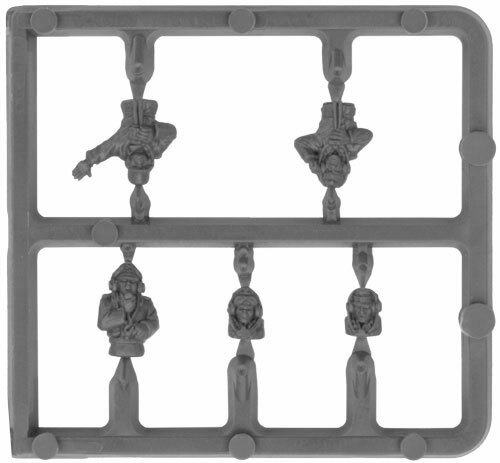 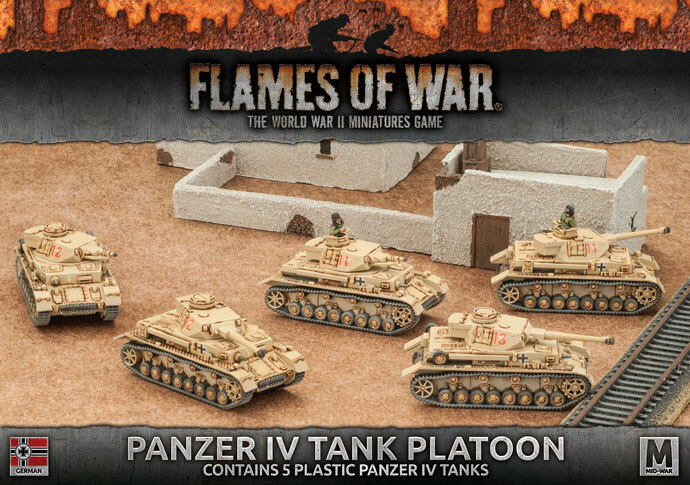 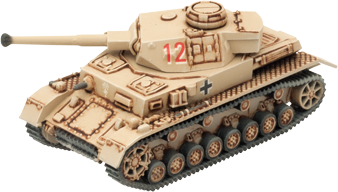 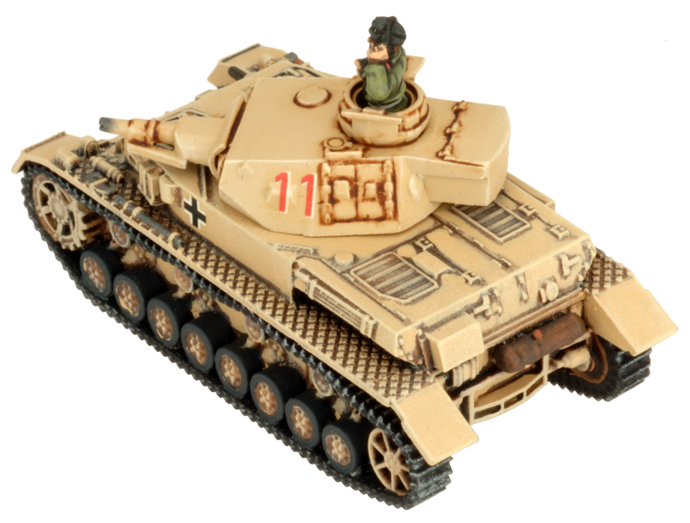 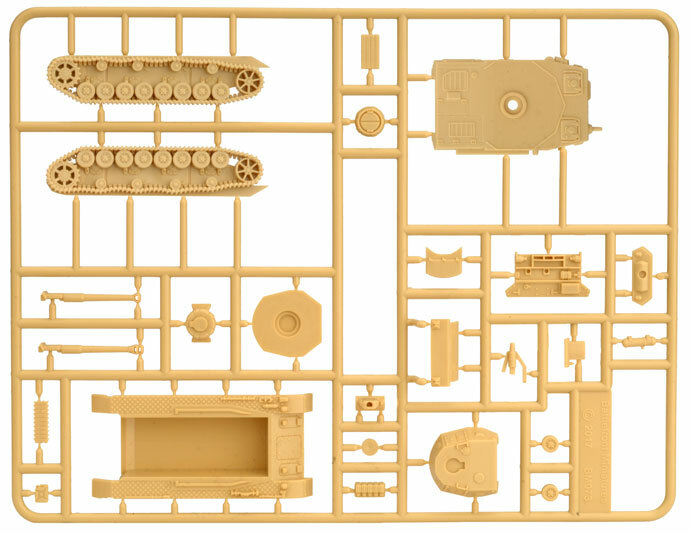 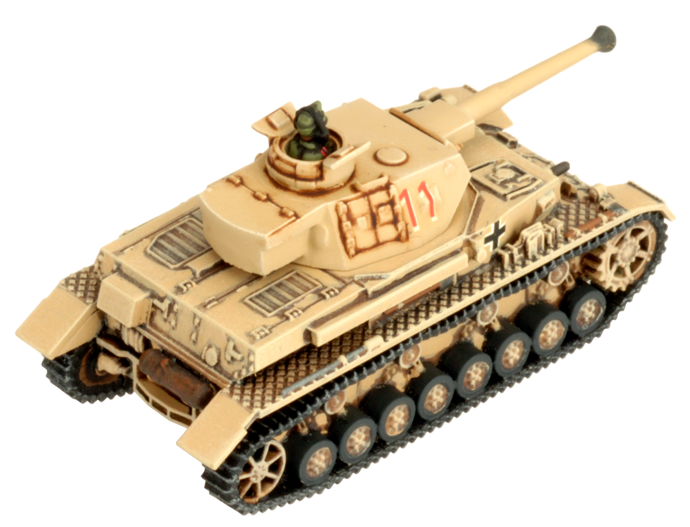 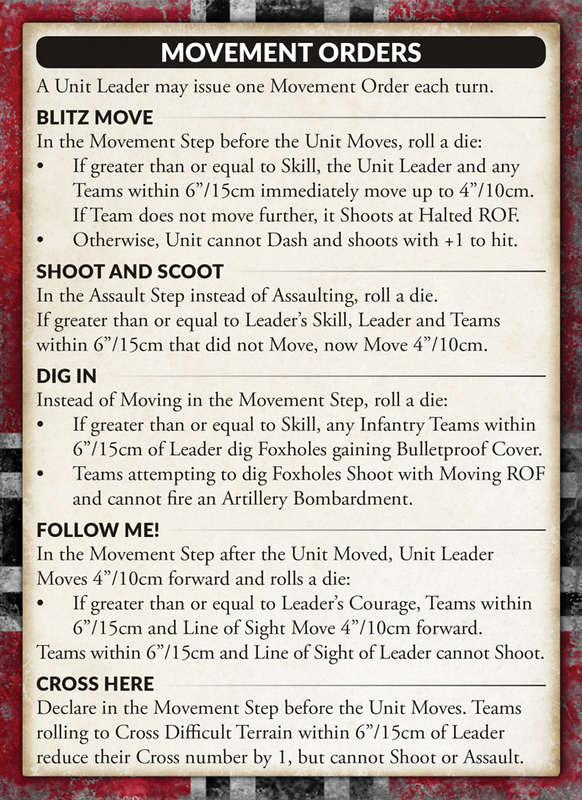 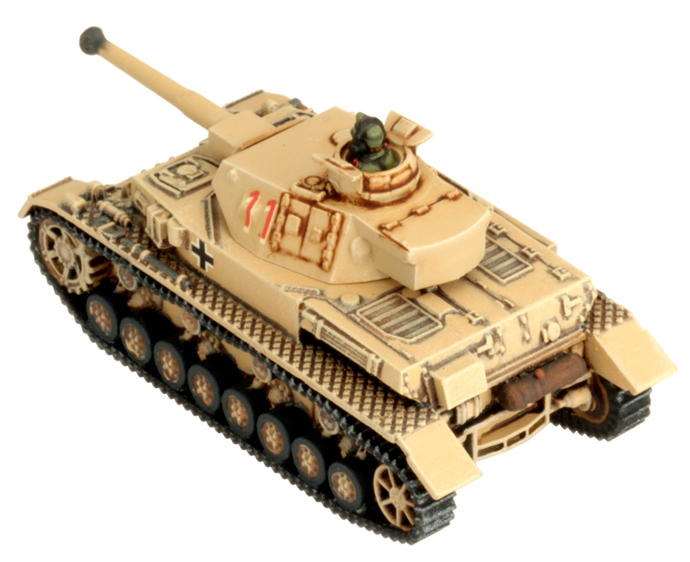 includes five plastic Panzer IV tanks, one plastic Tank Commander sprue, one Decal sheet and five Unit cards. 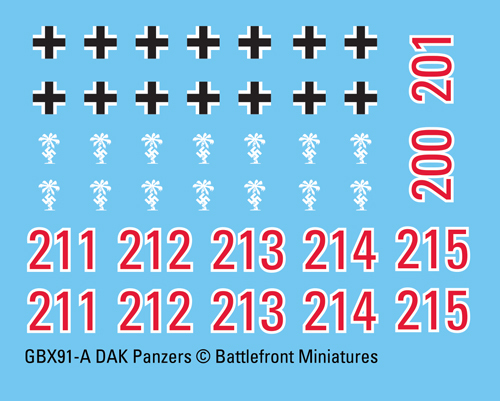 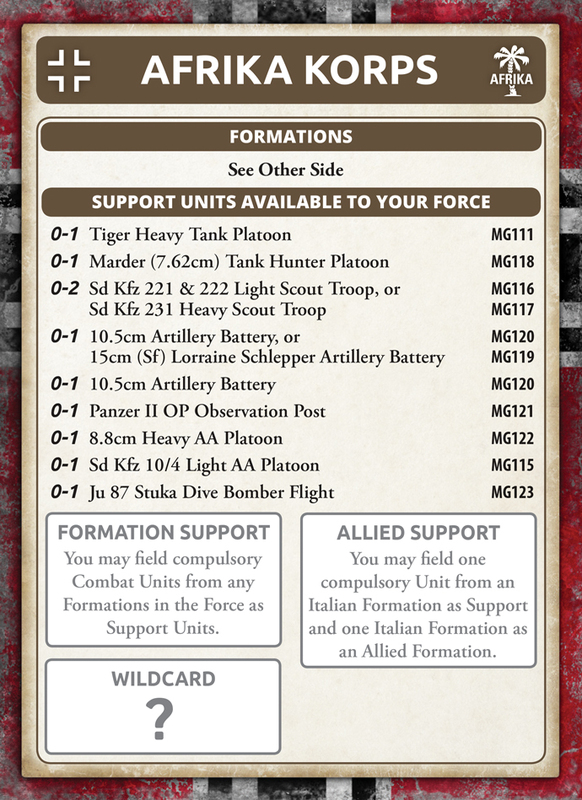 The Panzer IV equips one company in each tank battalion. 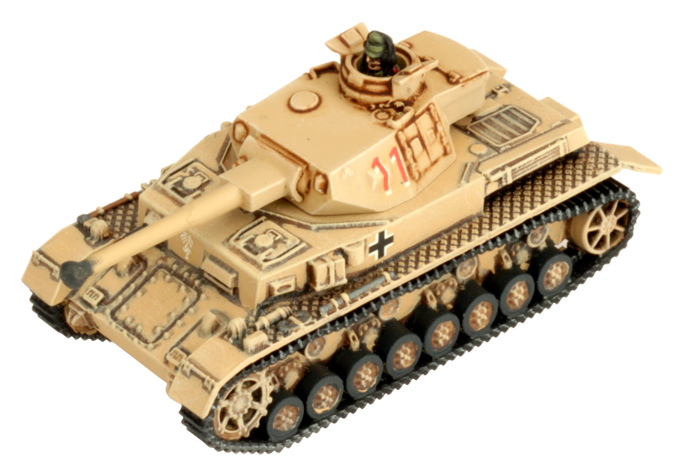 Its role is to provide heavy fire support for the lighter Panzer III tanks of the other companies. 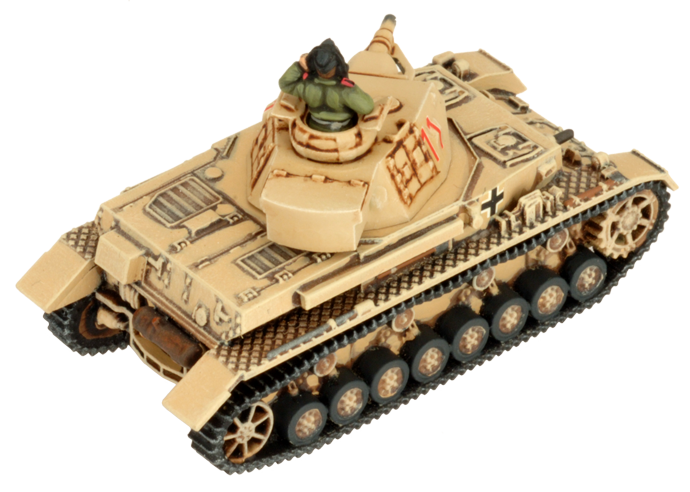 Initially, the companies had two platoons of short-barrelled Panzer IV tanks as artillery support. 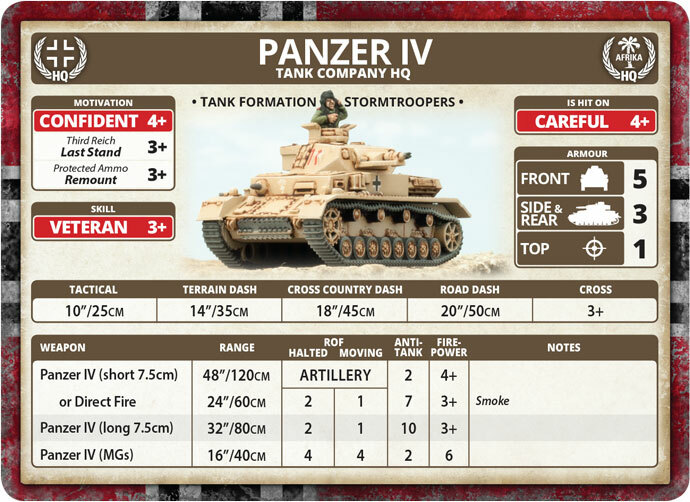 As the Battle of Gazala progressed, long-barrelled versions arrived, replacing the artillery support role with a heavy anti-tank capability. 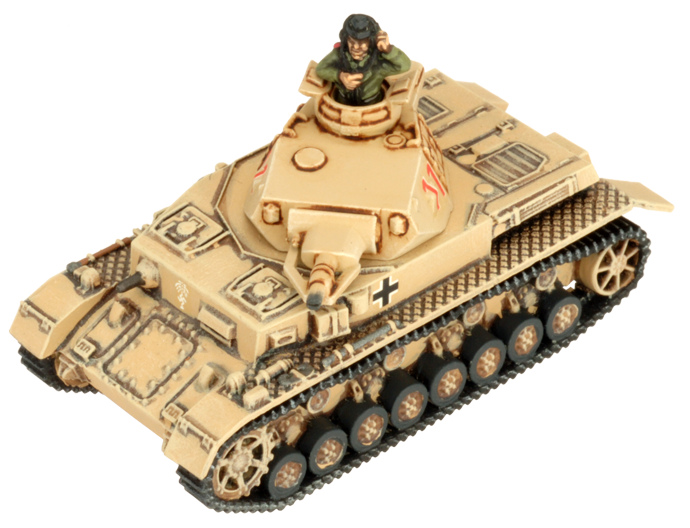 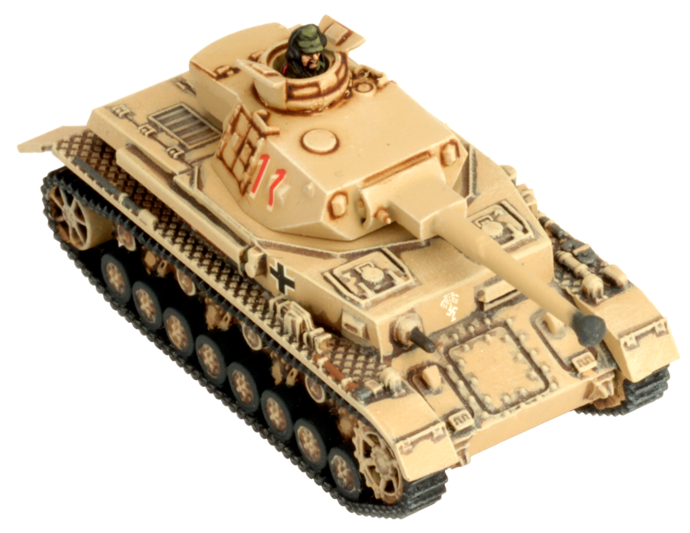 After the Battle of El Alamein, the proportion of Panzer IV tanks increased, so the fourth company's third platoon was sometimes equipped with Panzer IV tanks as well. 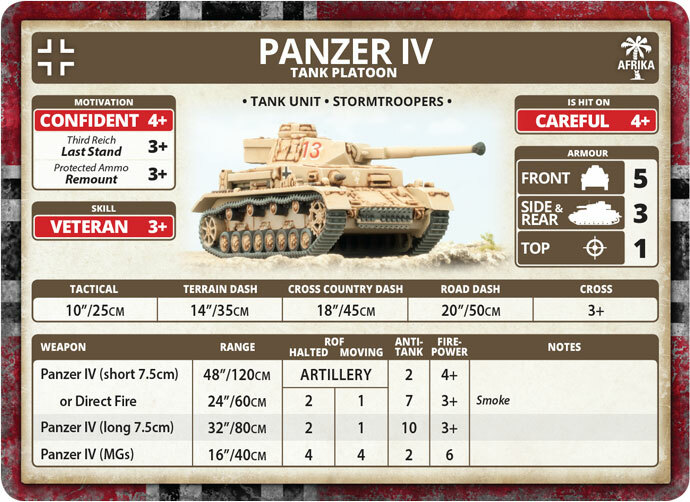 7.5cm gun made it particularly useful against anti-tank guns. 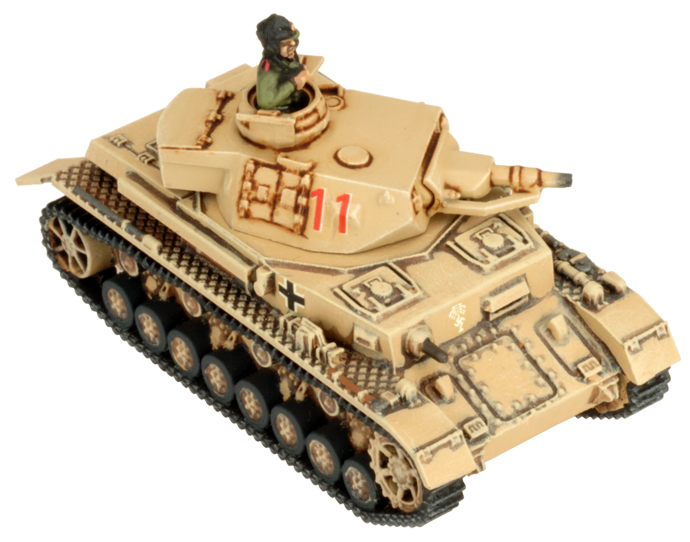 As the desert war went on, increasing numbers of Panzer IV tanks were armed with the long-barrelled 7.5cm KwK40, switching from an artillery support role to a heavy anti-tank support role.